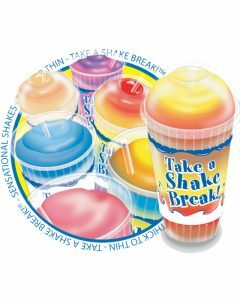 In 1992, Flavor Burst revolutionized the soft serve industry with its one-step process for blending flavored syrups with soft serve. 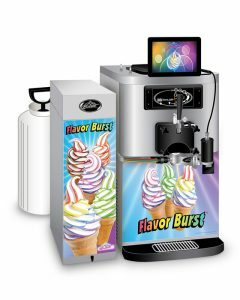 Flavor Burst machines incorporate a unique, patented technology that literally stripes the colorful flavoring on the inside and outside of the soft serve. 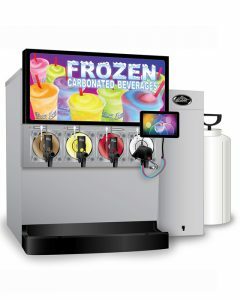 With Flavor Burst or Flavor Blend equipment, your existing soft-serve, frozen yogurt, shake, cocktails, slush, smoothie, or frozen carbonated beverage machine can serve 8 flavors. You can also combine multiple flavors within one serving for seemingly limitless flavor concepts! 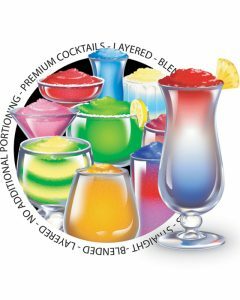 If you want to increase sales with fun and flair, and keep your customers coming back for more, check out Flavor Burst’s unique and flavorful options. So many flavor options and combinations!